The role of the pharmacy technician is undergoing significant changes in response to the shifting health care landscape. 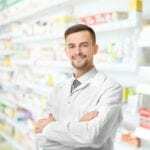 Technicians have always been critical to the pharmacy operation, but their presence in the pharmacy and the changing nature of their role make them even more critical than previous times. They work in all practice settings, supporting the pharmacist by receiving, preparing, and dispensing prescriptions, communicating with physicians’ offices and insurance companies, and reconstituting medications. They also perform inventory and administrative duties that are instrumental to the successful operation of the pharmacy. Busier pharmacies and increased expectations for pharmacists have necessitated a reevaluation and expansion of technicians’ responsibilities. Pharmacy technician training programs prepare students to assume this expanded role so they can truly support pharmacists. Theory and clinical instruction in compounding medications, filling prescriptions, pharmacy laws, patient confidentiality, and drug interactions prepare students to function as co-partners in the provision of care and delivery of medication and other health-related products. Certification is becoming a standard requirement for employers and state boards as pharmacists continue to relinquish many of the non-clinical tasks to competent technicians. Like other healthcare professionals, pharmacy technicians must commit to lifelong learning to embrace growth and take advantage of new opportunities. In this way, they will better perform their duties and advance patient care. 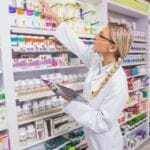 Employment for pharmacy technicians is expected to increase by as much as 9 percent through the year 2024, according to the Bureau of Labor Statistics. Salaries can range from $30,920 to $40,245. The College of DuPage prepares pharmacy technician students for an exciting career in the field of pharmacy. The program provides all the training students need to be successful for the national certification exams – the PTCB and the EXCPT. The College is an approved testing site for the EXCPT test. Interested persons must attend an information session where a counselor will cover expectations, course logistics, an overview of the curriculum, and mathematics requirements. Registration for the information is recommended but not required. A high school diploma or GED, English proficiency, and no prior drug convictions are also required for admission. The curriculum covers 80 hours of classroom instruction that equips students with the knowledge and skills to work in an institutional and community pharmacies. 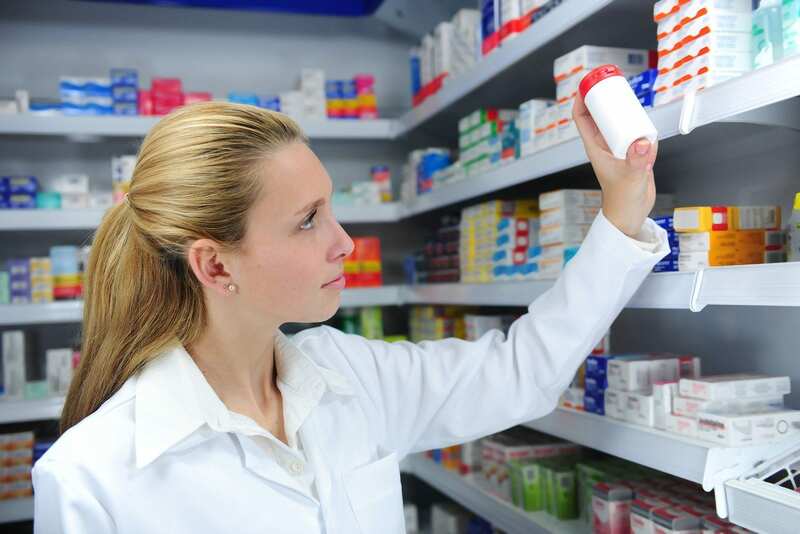 Students learn pharmacology, dosage calculations, pharmacy laws, generic and name brand drugs, inventory control, pharmacy billing systems, dispensing prescriptions, and packaging and labeling drugs. Evening and weekend schedules are available. Evening classes meet Tuesdays and Thursdays from 5:30 to 8:30 pm. Weekend classes meet Saturdays from 8 am to 2:30 pm. Tuition costs $1,499 and does not include books and licensing fees. A payment plan is available to all students. The pharmacy technician program at Rasmussen gives students the confidence and practical experience to prepare and handle medications, utilize professional practice skills within retail, manage inventories, apply safety and patient confidentiality practices, use pharmacy software, and assist patients at the pharmacy counter. Students learn the composition of commonly prescribed medications and drugs for common diseases, Specific coursework includes career development, medical terminology, customer service, medical law and ethics, foundations of pharmacy practice, pharmacy calculations, pharmacology, pharmacy retail practicum, sterile and non-sterile compounding, and pharmacy technician capstone. Students will complete 30 major and core credits and 8 general education credits to complete the certificate program. Tuition costs $12,220. CMK Healthcare offers pharmacy technician training that prepares students for a career in healthcare. The curriculum is designed to provide competent and safety minded graduates who have the knowledge and skill to pass a national certification exam and function as assistants to a registered pharmacist. Course topics include dosage calculations, pharmacy terminology, pharmacy laws and ethics, patient confidentiality, customer service, dispensing medications, packaging and labeling medications, generic and brand name drugs, sterile and non-sterile compounding, inventory management, pharmacy billing systems and much more. Interested persons should visit the school to discuss expectations and requirements with the administration staff and instructors. CMK offers affordable tuition and a flexible payment schedule for all students.